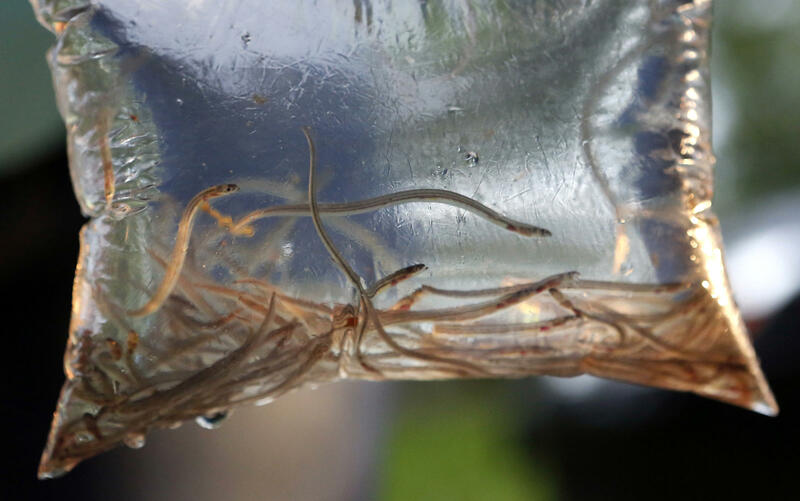 In this May 25, 2017, file photo, baby eels swim in a plastic bag after being caught near Brewer, Maine. "The commissioner is definitely not pleased - his motion was to increase the quota on the condition that his department would pursue a solution to the issues around chain of custody that shut the fishery down early this year," Nichols says. Meanwhile, Nichols says, Maine's Department of Marine Resources Commissioner Pat Keliher will keep working to find a solution to the illegal sales issue, "a solution which could involve legislation or rulemaking to address the loopholes in the chain of custody." 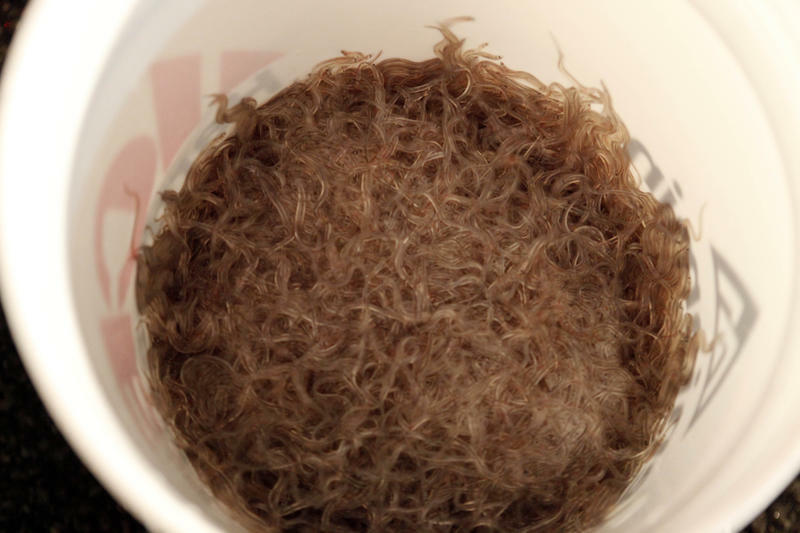 Elvers can sell for well over $2,400 a pound. They're raised mostly in Asia, and used to make food like sushi. Sales are, for the most part, strictly controlled by a swipe card system. 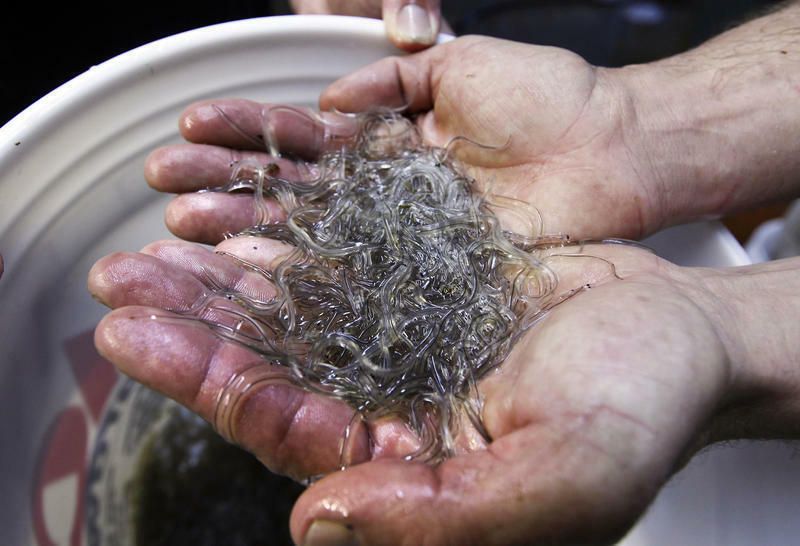 On its Facebook page, the Maine Elver Fisherman Association said the vote was the fault of "the illegal dealers and elver fishermen that decided to get greedy and not follow the laws."